On Dec. 9, 2005, between the hours of 5 p.m. and 2 a.m., Lotte Hotel World's Premium Brew Pub, Mega CC will present a World Cup Group Guessing Event to celebrate the World Cup Group Drawing to be held on Dec. 10, 2005, in Germany at 5 a.m. Korea Standard Time. All patrons who correctly guess three countries in the same group as Korea's Team will win coupons good for 1,100cc of free beer and a chance to win a lodging coupon good for two nights at Lotte Hotel Jeju by drawing. Winners will be contacted. An entertaining place for people on the go and for those who enjoy the informality of a Brew Pub environment, Mega CC offers a "mega-ton" of fun and joy for beer-lovers. 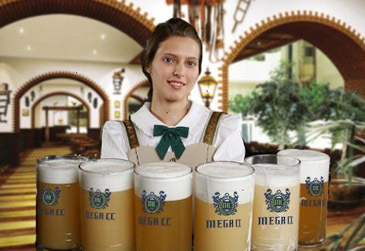 The ambient appeal of Mega CC lies in its five diverse categories; "Mega Space," "Mega Beer," "Mega Dishes," "Mega Service," and "Mega Entertainment," and Mega CC targets patrons who pursuit authentic tastes in fun trendy places.